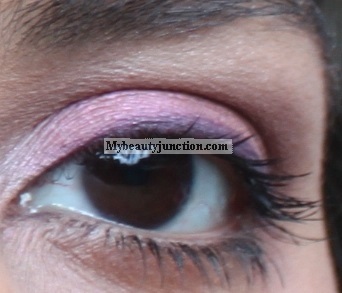 Fuchsia and pink aren't usually seen anywhere around my eyes, but they can lift up your spirits no end! I used the Accessorize You Are Everything palette for this look. I haven't been tweezing my eyebrows for a couple of months now as I'm growing them out. So be prepared for hairy brow-bones. I used the Smashbox Hyperlash Mascara from my previous post and the deep purple eyeshadow from the Accessorize palette as eyeliner with a wet brush. 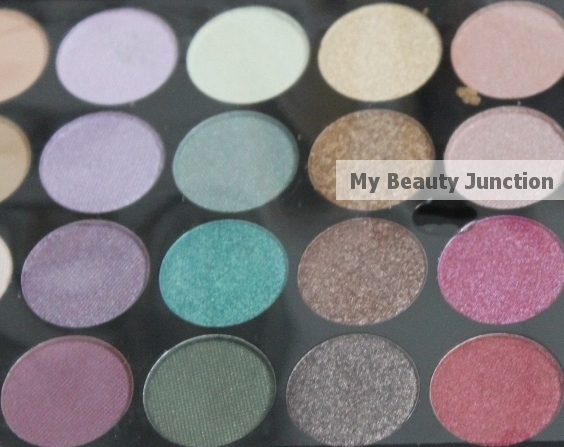 I used four eyeshadows from this palette - the shimmery pink (top right) as highlighter and inner corner; the fuchsia (RHS third from top) and the two purples (LHS first two from bottom). The primer used was Too Faced Shadow Insurance. Interestingly, the colours look different under different lighting (natural light without flash, and artificial light with flash).